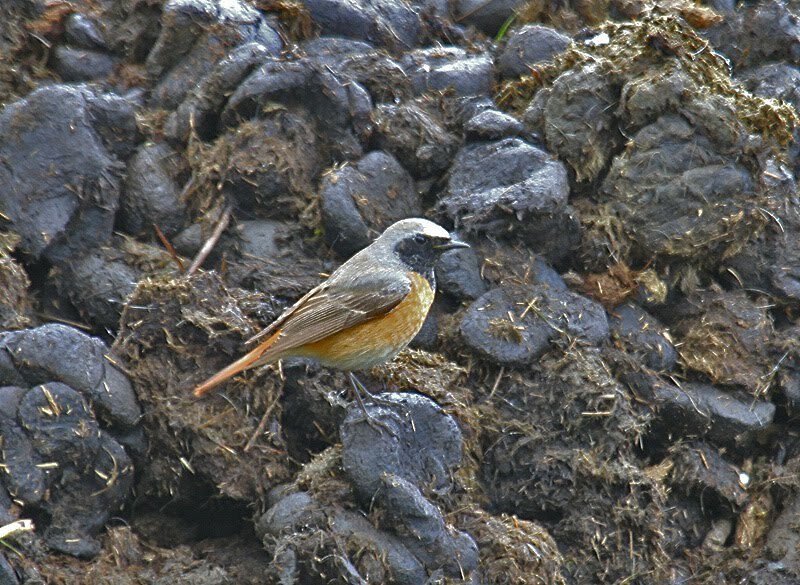 Where there's muck theres a good chance there will be birds about. So it proved at the Riding stables near Caldecote. 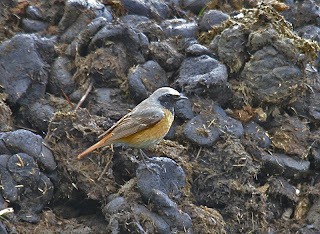 The Common Redstart was still present today with a particular liking for a pile of Horse dung. 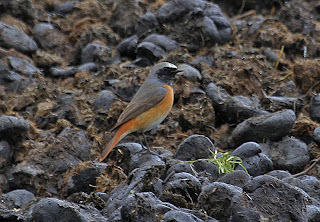 Problem was the local Robin had 'claimed' the heap and was very aggressive towards any other birds which tried feeding there. 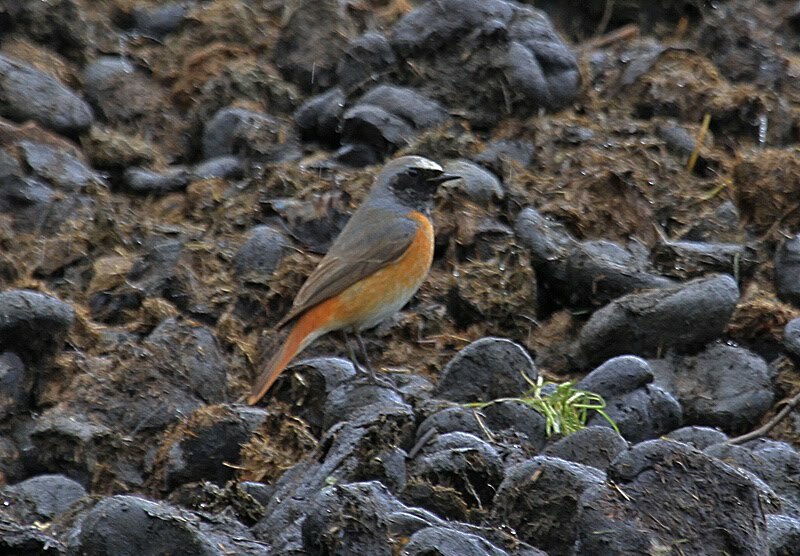 The heavy showers also made good viewing difficult at times but the showers also made the chances of finding other migrants that much better. Yesterdays Arctic Tern was clearly the forerunner to a much bigger movement today and the chances of finding other palaegic species looked good. At Shustoke Res. a 1w Little gull was at the far end but there was no sign of the Arctic tern reported earlier in the day. The search continued at Coton and the southern lakes of Kingsbury Water Park. A Yellow wagtail was on Mill meadow at the extreme eastern fringe of the Water Park but that was about it. 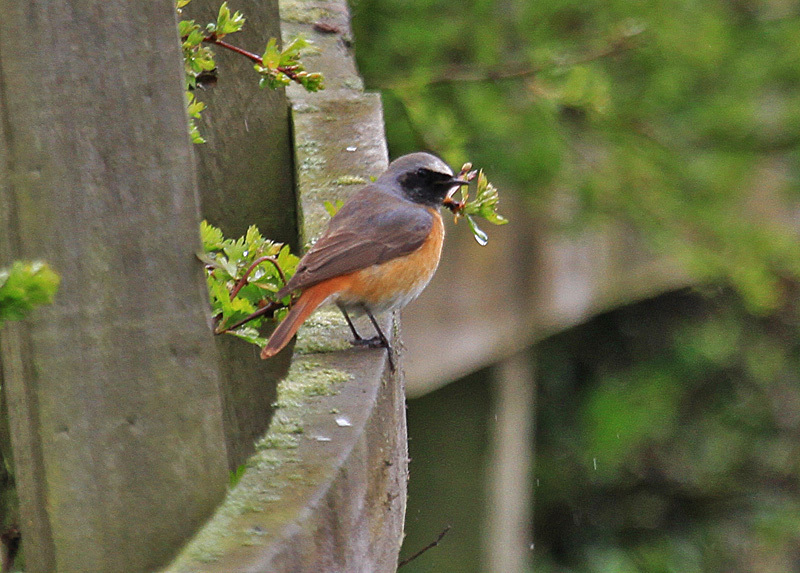 Cheers John and Sue,Hope you are both well.Yes, nice to get a Redstart close to home.Pity about the background though. 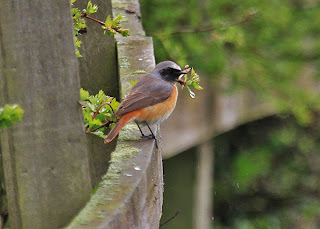 Nice shots Bob.Better than I got at Marsh Lane recently.